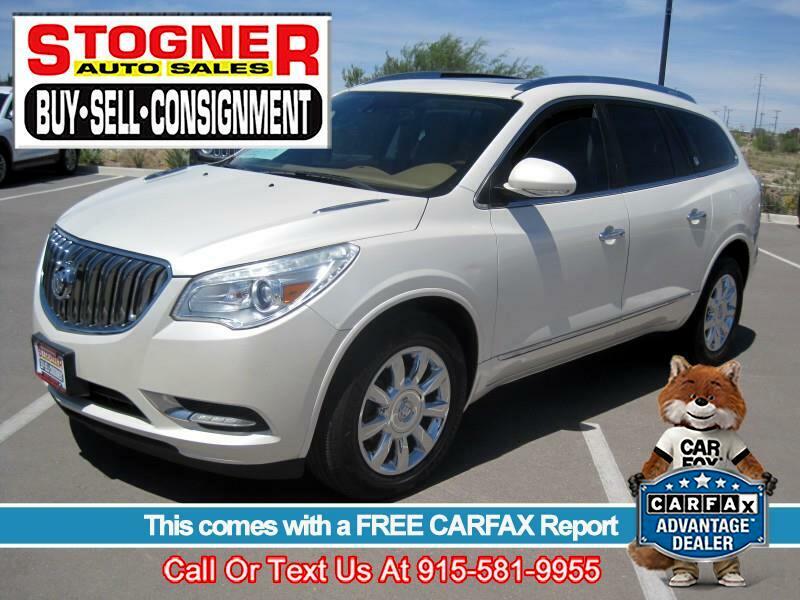 COME GET IT JUST IN SUPER CLEAN 2014 BUICK ENCLAVE PREMIUM, LOADED, REAR ENTERTAINMENT,DUAL SUNROOF,BOSE STEREO. NAVIGATION, BACK UP CAMERA, BLIND SPOT MONITOR,3RD ROW, HEATED/COOLED SEATS. AWESOME COLOR COMBO, WOW CARFAX CLEAN TITLE.